This time of year is full of holiday cheer, family gatherings and the time-honored tradition of singing Christmas carols. Our good friend Nascarcasm has come up with a few NASCAR-themed carols to add to the holiday playlist. 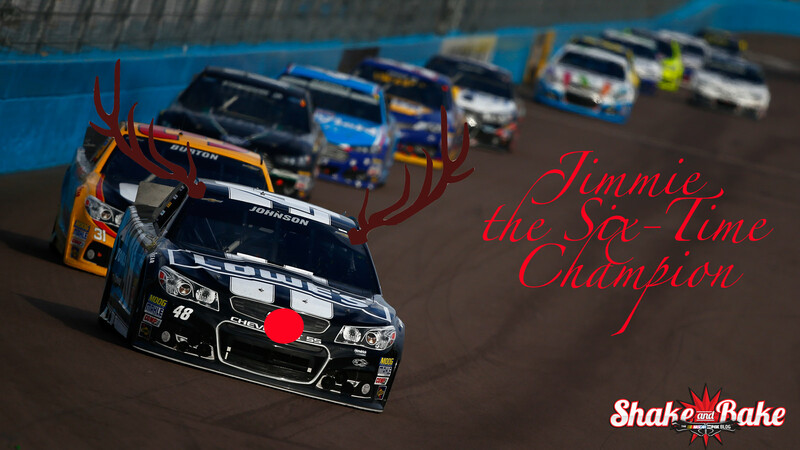 Next up is "Jimmie the Six-Time Champion," sung to the tune of "Rudolph the Red-Nosed Reindeer." We suggest listening to the original, then singing along with the updated tune. …if you don’t let Dale Jr. win."